This listing is for 1 sheet of hershey kiss stickers. Stickers print 108 per sheet. These are peel and stick and will fit onto the bottom of Hershey Kisses, or Mini Peanut Butter Cups, Rolos, any small round bottom candy. The sticker size is .75" circle. ONLY ONE DESIGN PER SHEET. Please let me know the name you'd like on your stickers. 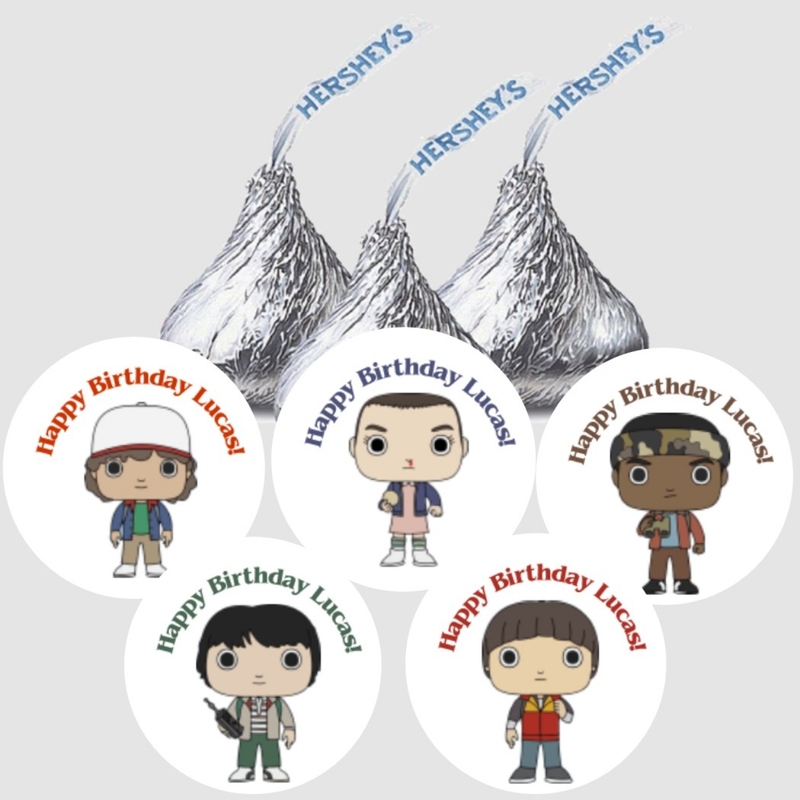 Stickers will say " Happy Birthday ( Name) " if you want a different message, just note that.